SPLIT BENCH SERIES — Classic Furniture inspired by Mid-century Classics, Made in Grand Rapids, MI out of Solid hardwoods. 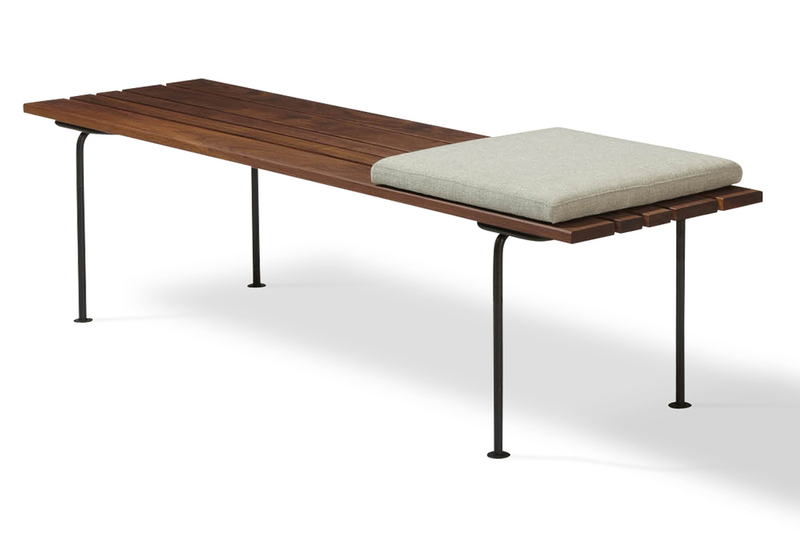 Walnut lovers, this is your bench. 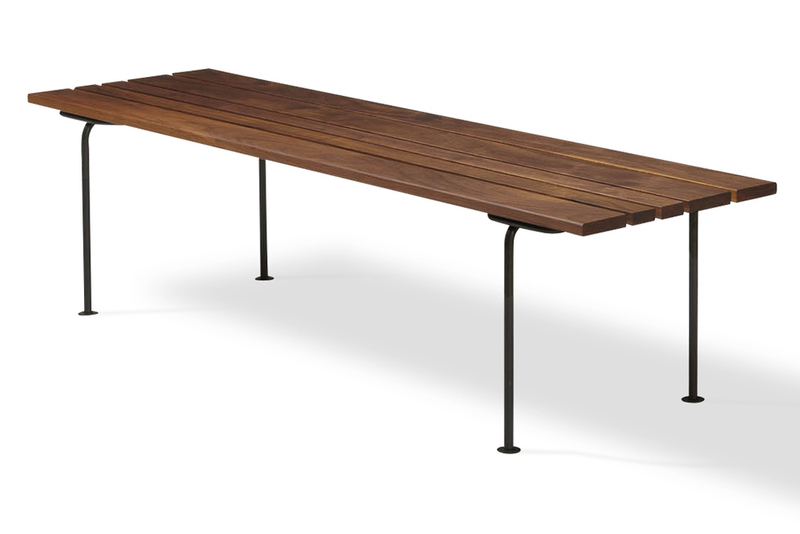 Luxe, wide planks of solid American black walnut form two different designs in one bench. The slatted surface can be configured to be either symmetrical or asymmetrical. Sturdy, hand-formed steel legs are in blackened solid steel. Available in lengths from Mini up to 5 feet. Made in USA. Add comfort and texture to the Split bench with our bench cushion, which features a sturdy masonite platform and velcro fasteners on the underside to prevent sliding or twisting. Available in our own light grey fine weave hopsack, C.O.M. or C.O.L. Not intended for outdoor use. Made in USA.